One of the few episodes I remember from the 1980s revival of The Twilight Zone is a story called “Ye Gods,” and really the main thing I remember about it is that Robert Morse played the Greek god Cupid, wandering around the modern world shooting his arrows into yuppies. 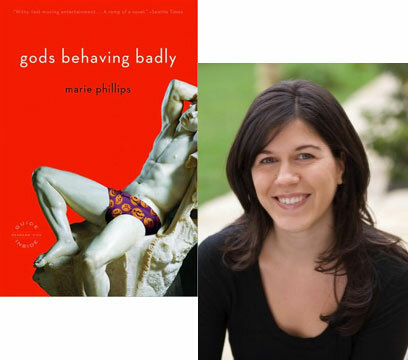 But the main idea has stuck with me over the decades, so when I first stumbled onto British novelist Marie Phillips’s debut, Gods Behaving Badly, I was eagerly to give it a try—and well rewarded for my curiosity, since it played right into my love of supernatural humor. (See, in this vein, the original Topper novels by Thorne Smith, or more recently Neil Gaiman’s Anansi Boys.) I’d wanted to meet Phillips, but her plans to visit the United States last year went awry—still, she was kind enough to send a short essay explaining the unusual circumstances behind her novel’s genesis. I first got the idea for Gods Behaving Badly when I was working on a documentary being made on an American Air Force base in the U.K. I was only on set for a day or two, as a favour to a friend; her usual sound recordist couldn’t make it so she’d asked me to step in and help out. It was a fascinating, surreal place: a perfect slice of America on British soil. Everything was American, right down to the smallest detail; even the post-boxes were American, not our familiar red pillar-boxes. At certain times of day, the national anthem would play and everyone would stop what they were doing, put their hands on their hearts and bow their heads (this does not happen in many other places in the U.K.). The only way that you could tell you were still on British soil is that the imported American vehicles were being driven—by burly, heavily-armed American military personnel—on the left-hand side of the road. My brief stint on the documentary involved recording the sound for footage taken in the on-base high school. To my British eyes it was like a school out of a American teen movie: the rows of brightly-coloured lockers, the cafeteria serving American food, the huge gym with its cheerleaders and posters for the homecoming dance, the kids in their letterman sweaters. I wonder whether being in a place that at once seemed so familiar, and yet so out of place on a flat plain in Cambridgeshire, woke up my creative juices, primed me to notice things that were out of the ordinary. Or maybe it was just luck. In any case, we were filming in a philosophy class when inspiration struck. The teacher was explaining the differences between the gods of the ancient world—the Greek and Roman gods of mythology—and the modern Judeo-Christian God who we are more familiar with. The monotheistic God that we know, explained the teacher, is all-knowing, all-powerful, and good. The Greco-Roman gods were rather different. A huge, rambling family, locked in a constant power struggle against one another, they display character traits that we might recognise as far more human: vanity, jealousy, arrogance, anger, lust, revenge. 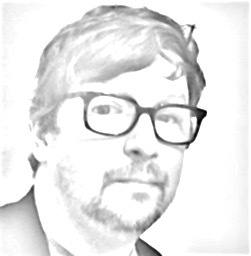 For me it was a Eureka moment, a bolt from the blue—from Zeus himself, perhaps. What if we were wrong and the Greeks were right? What if the world really is being run by this rabble of mythological gods, each with their own failings and foibles, and their own agenda? It would certainly explain a thing or two about the state of the planet. And if so—if the gods from Greek mythology really were in charge of planet Earth—they would still be around. So where would they be, and what would they be doing?